Smittybilt Billet Grilles use 20-50% more aluminum than other billet grille designs for tighter spacing and a distinct style. Grilles are custom-designed for each vehicle -- you won't get some generic universal fit design. 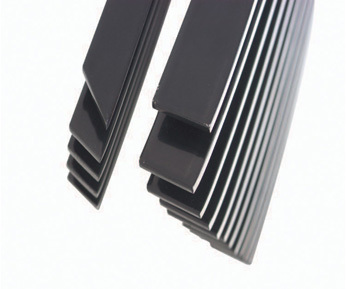 Four extrusion sizes are used, with larger extrusions on larger vehicles. Angles of extrusion vary from 30-60 degrees, providing a truly unique look. Durable billet aluminum is welded robotically, then powder coated for long life and a great look. 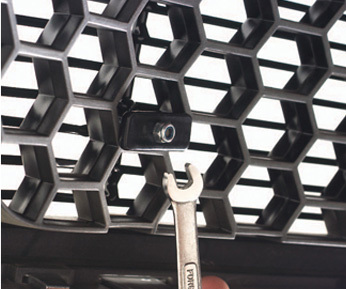 Smittybilt presents the latest styles of high quality Smittybilt Billet Grilles, designed with the highest quality materials to provide that custom look. Each Grille is manufactured to exacting specifications, and both the special bolt-over or traditional cutout designs take just minutes to install. The Latest Styles Truck Grilles On Sale Smittybilt Billet Grilles Free Shipping only at OffRoad Upgrades! Ford F-150, F-250, F-350 Billet Grilles, Dodge Ram Billet Grilles, Chevy Silverado Billet Grilles, Toyota Tacoma & Tundra Billet Grilles. Highest Quality Materials to give your Truck that Custom look your looking for.